Combine cheese, apples and cinnamon sticks on a cheese board for a great party appetizer. 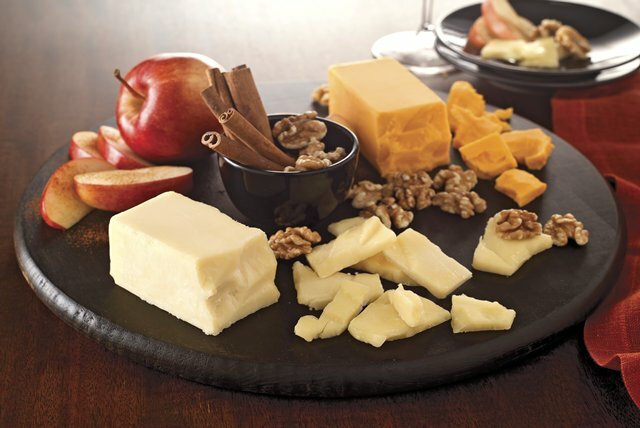 Our Cinnamon, Apple & Cheddar Cheese Board is tasty and elegant. Place nuts and cinnamon sticks in bowl in center of cheese board. So easy to make, this cheese board is the perfect appetizer to serve the crowd at your next party. For best flavor, let cheese stand at room temperature about 30 min. before serving. Sprinkle apple slices with 1 tsp. cinnamon sugar before adding to cheese board.